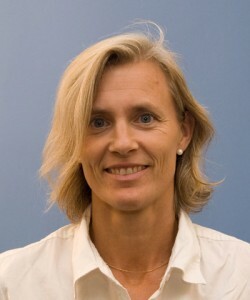 The Forsberg lab focuses on stem cell fate decisions of the blood system. Hematopoietic stem cells are responsible for generating a life-long supply of mature blood cells. Each stem cell is capable of making all of the mature blood cell types with widely different functions: some blood cells specialize in carrying oxygen, others fight off infections, and still others prevent bleeding in the process of blood clotting. How does a stem cell decide which cell type to give rise to? Are these decisions made by the stem cell itself, by its descendant multipotent progenitors, or both? How are these decisions dysregulated to cause cancer and other disorders? We tackle these questions from multiple angles - by in vivo and in vitro experimental approaches, by focusing on specific molecules as well as analyzing global changes. Ultimately, we want to understand the molecular determinants of hematopoietic stem cell fate decisions so that we can prevent and treat both genetic and acquired disorders of the hematopoietic system, including anemia, autoimmune disease, leukemias and lymphomas. *Boyer S, *Rajendiran S, *Beaudin A, *Smith-Berdan S, Muthuswamy P, *Perez-Cunningham J, *Martin EW, *Cheung C, *Tsang H, *Landon M and *Forsberg EC. (2019) Clonal and quantitative in vivo assessment of hematopoietic stem and progenitor cell differentiation reveals strong erythoid potential of multipotent cells. Stem Cell Reports. In press. *Cool T and *Forsberg EC. (2019) Chasing Mavericks: The quest for defining developmental waves of hematopoiesis. Current Topics in Developmental Biology. Invited Review. In press. Larsen MC, N'Jai AU, Alexander DL, Rondelli CM, *Forsberg EC, Czuprynski CJ, Jefcoate CR. (2016) Cyp1b1‐mediated suppression of lymphoid progenitors in bone marrow by polycyclic aromatic hydrocarbons coordinately impacts spleen and thymus: a selective role for the Ah Receptor. Pharmacology Research & Perspectives 4 (4). *Ugarte F, *Sousae S, Cinquin B, *Martin EM, *Krietsch J, *Sanchez G, *Inman M, *Tsang H, Warr M, Passegué E, Larabell C, and *Forsberg EC. (2015) Progressive chromatin condensation and H3K9 methylation regulate the differentiation of embryonic and hematopoietic stem cells. Stem Cell Reports. Nov 10;5(5):728-40. Hoeffel G, Chen J, Lavin Y, Low D, Almeida FF, See P, *Beaudin AE, Lum J, Low I, *Forsberg EC, Poidinger M, Zolezzi F, Larbi A, Ng LG, Chan JK, Greter M, Becher B, Samokhvalov IM, Merad M, Ginhoux F. (2015) C-myb(+) erythro-myeloid progenitor-derived fetal monocytes give rise to adult tissue-resident macrophages. Immunity. Apr 21;42(4):665-78. *Smith-Berdan S, *Nguyen A, *Hong MA, *Forsberg EC. (2015) ROBO4-Mediated Vascular Integrity Regulates the Directionality of Hematopoietic Stem Cell Trafficking. 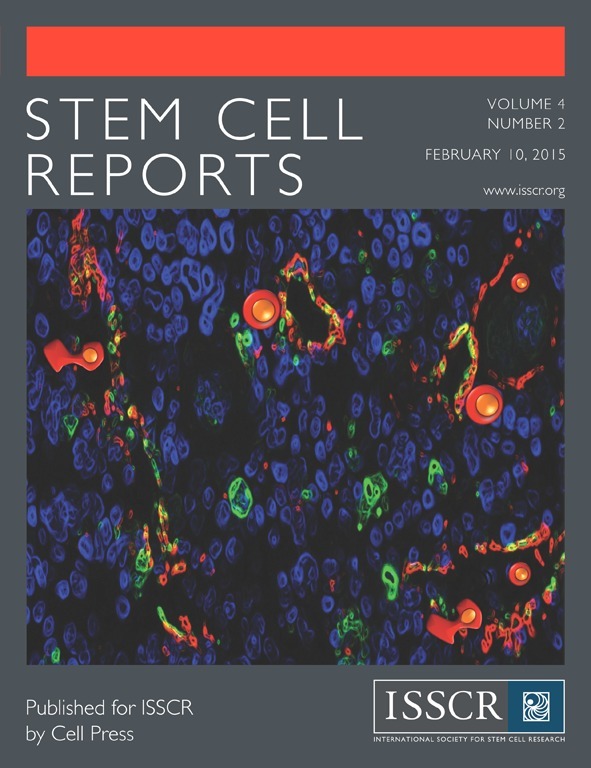 Stem Cell Reports. Feb 10;4(2):255-68. Flach J, Bakker ST, Mohrin M, Conroy PC, Pietras EM, Reynaud D, Alvarez S, Diolaiti ME, *Ugarte F, *Forsberg EC, Le Beau MM, Stohr BA, Méndez J, Morrison CG, Passegué E. (2014) Replication stress is a potent driver of functional decline in ageing haematopoietic stem cells. Nature. Aug 14;512(7513):198-202. Epelman S, Lavine KJ, *Beaudin AE, Sojka DK, Carrero JA, Calderon B, Brija T, Gautier EL, Ivanov S, Satpathy AT, Schilling JD, Schwendener R, Sergin I, Razani B, *Forsberg EC, Yokoyama WM, Unanue ER, Colonna M, Randolph GJ, Mann DL. (2014) Embryonic and Adult-Derived Resident Cardiac Macrophages Are Maintained through Distinct Mechanisms at Steady State and during Inflammation. Immunity. 2014 Jan 16;40(1):91-104. *Beaudin, A.E., *Boyer, S.W., and *Forsberg, E.C. (2014) Flk2/Flt3 promotes both myeloid and lymphoid development by expanding non-self-renewing multipotent hematopoietic progenitor cells. Experimental Hematology. Mar;42(3):218-229.e4. *Ugarte, F. and *Forsberg, E.C. (2013) Haematopoietic stem cell niches: new insights inspire new questions. EMBO J. Oct 2;32(19):2535-2547. Invited review. Hashimoto D, Chow A, Noizat C, Teo P, Beasley MB, Leboeuf M, Becker CD, See P, Price J, Lucas D, Greter M, Mortha A, *Boyer SW, *Forsberg EC, Tanaka M, van Rooijen N, García-Sastre A, Stanley ER, Ginhoux F, Frenette PS, Merad M. (2013) Tissue-resident macrophages self-maintain locally throughout adult life with minimal contribution from circulating monocytes. Immunity. Apr 18;38(4):792-804. *Boyer, S.W., *Beaudin, A.E., and *Forsberg, E.C. (2012) Mapping differentiation pathways from hematopoietic stem cells using Flk2/Flt3 lineage tracing. Cell Cycle. Sep 1;11(17). *Smith-Berdan, S., Schepers, K., *Ly, A., *Passegue, E., and *Forsberg, E.C. (2012) Dynamic expression of the Robo ligand Slit2 in bone marrow cell populations. Cell Cycle. Feb 15;11(4). *Boyer, S.W., *Schroeder, A.V., *Smith-Berdan, S., and *Forsberg, E.C. (2011) All hematopoietic cells are generated from hematopoietic stem cells through Flk2/Flt3-positive progenitor cells. Cell Stem Cell Jul 8;9(1):64-73. Koeva, M., *Forsberg, E.C., and Stuart, J.M. (2011) Computational integration of homolog and pathway gene module expression reveals general stemness signatures. PLoS ONE 6(4): e18968. *Smith-Berdan, S., *Nguyen, A., *Hassanein D, *Zimmer M, *Ugarte F, Ciriza J, Li D, García-Ojeda ME, Hinck L, and *Forsberg, E.C. 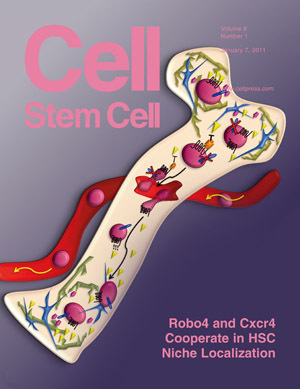 (2011) Robo4 cooperates with Cxcr4 to specify hematopoietic stem cell localization to bone marrow niches. Cell Stem Cell 7;8(1):72-83. Chang, E.1, Forsberg, E.C.1, Wu, J., Wang, B., Prohaska, S.S1., Allsopp, R., Weissman, I.L., and Cooke, J.P. (2010) Cholinergic activation of hematopoietic stem cells. Vasc Med. Oct;15(5):375- 85. Marlow, R., Binnewies, M., Monica, S., Strickland, P., Forsberg, E.C., Li, D.Y., and Hinck, L. (2010) Vascular Robo4 restricts pro-angiogenic epithelial signaling in breast. Proc. Natl. Acad. Sci. U.S.A. 107(23):10520-5. Epub 2010 May 24. Santaguida, M., Schepers, K., King, B., Sabnis, A.J., Forsberg, E.C., Attema, J.L., Braun, B.S., and Passegué, E. (2009). JunB protects against myeloid malignancies by limiting hematopoietic stem cell proliferation and differentiation without affecting self-renewal. Cancer Cell, 5: 341-52. *Forsberg, E.C. and *Smith-Berdan, S. (2009) Parsing the niche code: the molecular mechanisms governing hematopoietic stem cell adhesion and differentiation. Haematologica 94(11):1477-81. Forsberg, E.C., Passegue, E1., Prohaska, S.S1., Wagers, A.J1., Koeva, M., Stuart, J.M., and Weissman, I.L. (2009) Molecular signatures of quiescent and mobilized hematopoietic stem cells and leukemic stem cells. PLoS One Jan 20;5(1):e8785. Ooi, A.G.L., Karsunky, H., Majeti, R., Butz, S., Vestweber, D., Ishida, T., Quertermous, T., Weissman, I.L., and Forsberg, E.C. (2008) The adhesion molecule ESAM1 is a selective marker for hematopoietic stem cells. Stem Cells. 2008 Dec 11, Epub ahead of print. Attema JL, Papathanasiou P, Forsberg EC, Xu J, Smale ST, Weissman IL. Epigenetic characterization of hematopoietic stem cell differentiation using miniChIP and bisulfite sequencing analysis. Proc Natl Acad Sci U S A. 2007 Jul 24;104(30):12371-6. Epub 2007 Jul 18. Forsberg EC, Bhattacharya D, Weissman IL. Hematopoietic stem cells: expression profiling and beyond. Stem Cell Rev. 2006;2(1):23-30. Review. Forsberg EC, Serwold T, Kogan S, Weissman IL, Passegué E. New evidence supporting megakaryocyte-erythrocyte potential of flk2/flt3+ multipotent hematopoietic progenitors. Cell. 2006 Jul 28;126(2):415-26. Forsberg EC, Prohaska SS, Katzman S, Heffner GC, Stuart JM, Weissman IL. Differential expression of novel potential regulators in hematopoietic stem cells. PLoS Genet. 2005 Sep;1(3):e28.